Motor yacht LORELEI (Ex SED) is a Mangusta 72 by Overmarine, launched in 2004. 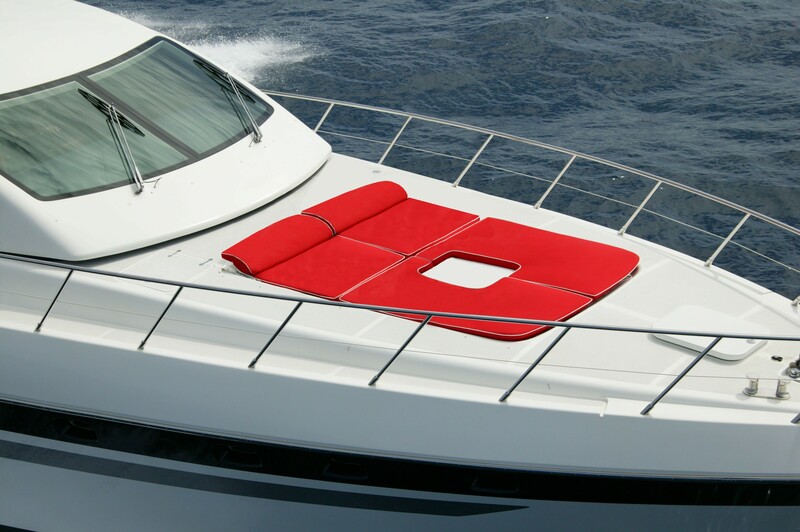 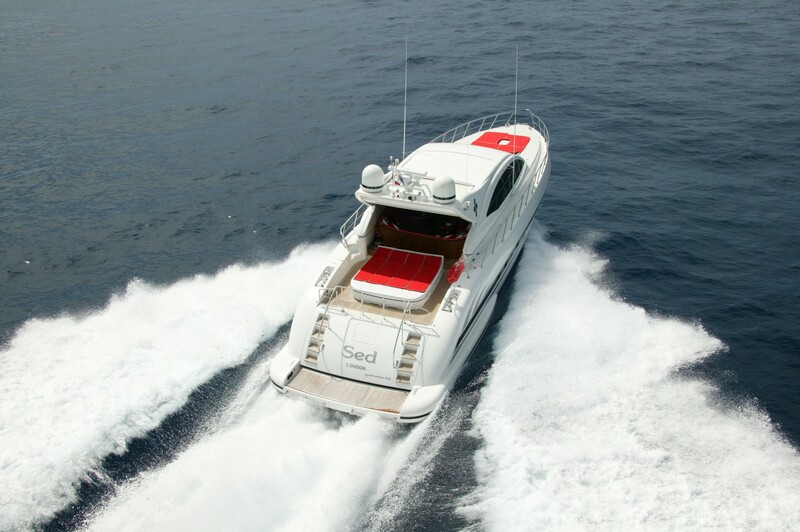 Motor yacht LORELEI is based in San Remo but is available for throughout the Mediterranean for luxury yacht charters. 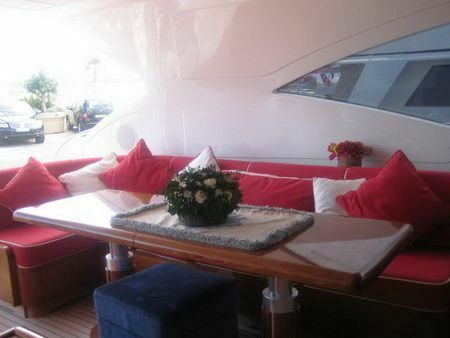 This Mangusta 72 has a very tasteful interior as well as a functional exterior. 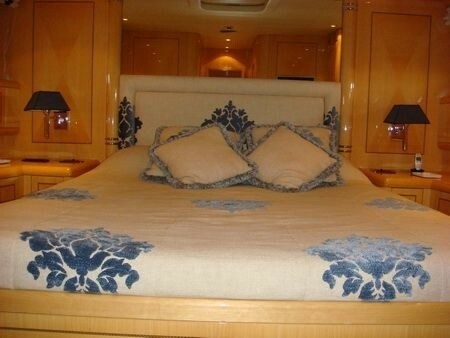 Luxury motor yacht LORELEI can accommodate up to 7 guests. 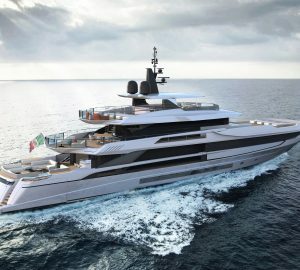 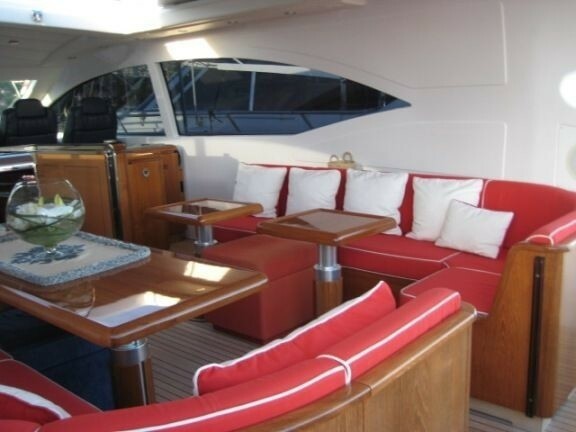 The Mangusta 72, motor yacht LORELEI has a wide saloon below deck with a large flat screen TV along with a large circular settee and 2 coffee tables. 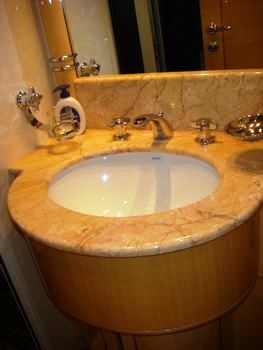 M/Y LORELEI is able to accommodate up to 7 guests in 2 double and one twin cabin. 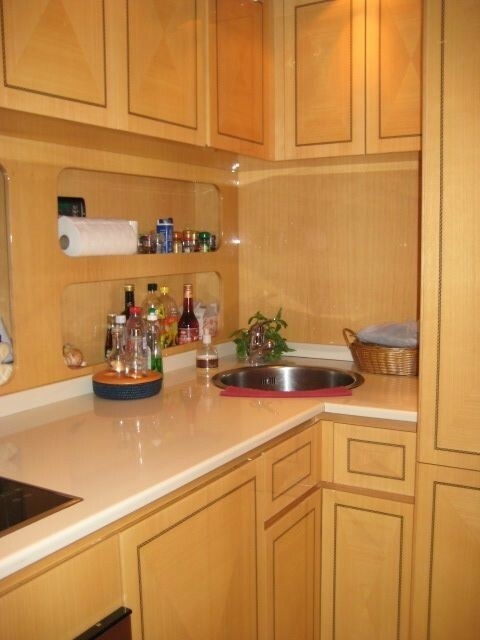 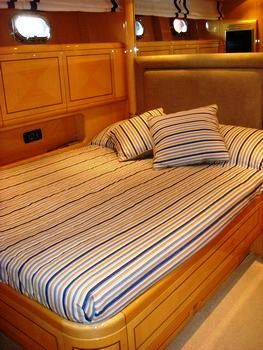 There is a Master cabin with en suite bathroom and shower located forward, a Double guest cabin located port mid ships including en suite shower facilities and a Twin guest cabin equipped with en suite bathroom and shower located starboard mid ships. There is a separate Crew cabin for 2 crew members. 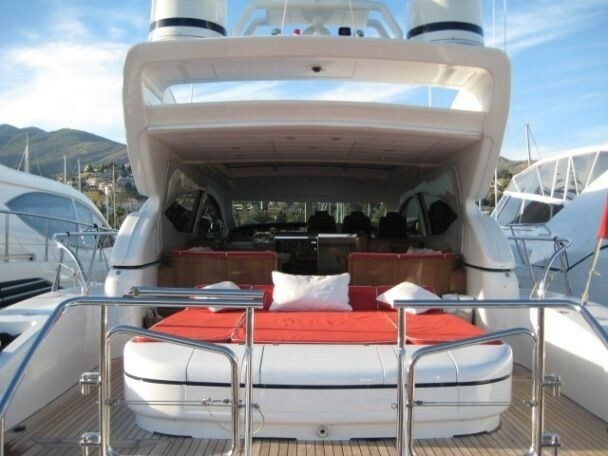 Luxury motor yacht LORELEI (Ex SED) has large sunbathing areas with comfortable bright red cushions astern and forward, a spacious cockpit with large L-shaped settee, a dining table for el fresco dining outside as well as a fridge, ice maker and swim platform for an easy access to the water and water sport toys. 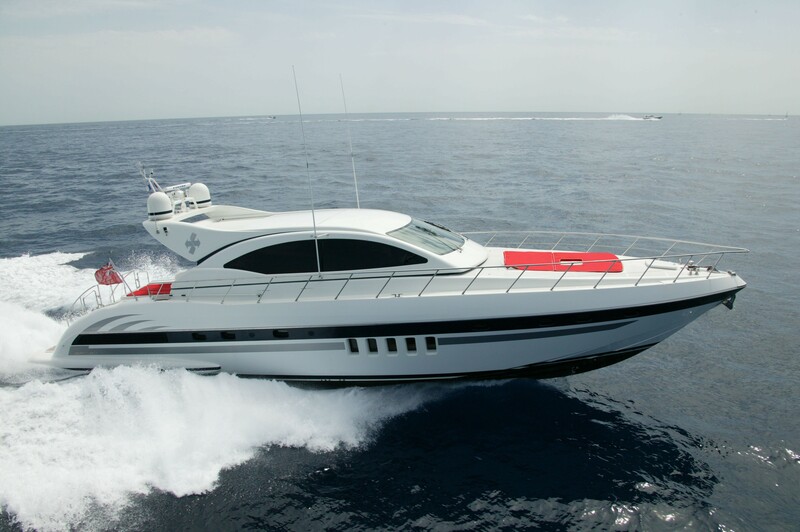 Mangusta motor yacht LORELEI is able to reach speeds of up to 30 knots cruising and 33 knots maximum thanks for her twin 1500hp MTU Engines. Motor yacht LORELEI can accommodate up to 7 guests in 3 cabins. 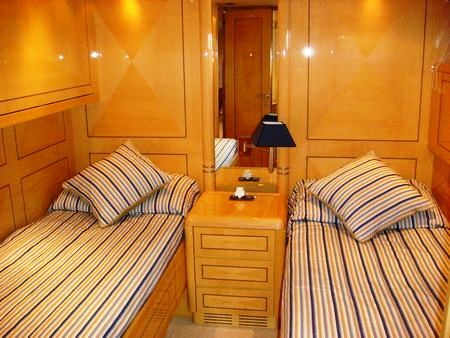 There is a Master cabin with en suite bathroom and shower located forward, a Double guest cabin located port mid ships including en suite shower facilities and a Twin guest cabin equipped with en suite bathroom and shower located starboard mid ships. There is a separate Crew cabin for 2 crew members. 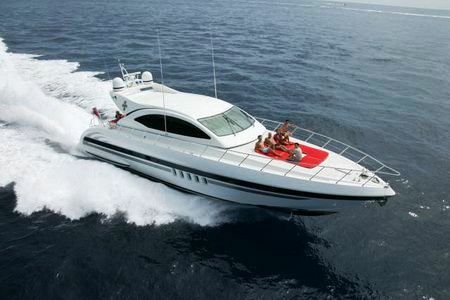 Mangusta 72 LORELEI (Ex SED) has the following extras onboard: Tenders & Toys include a Tender, Water ski, Wake board, Donut. 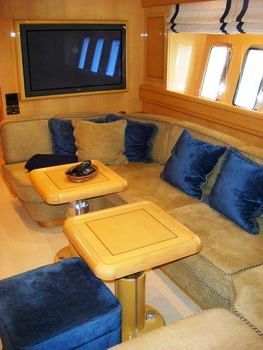 Communications include NERA 22 Satcom system Siemens telephone exchange throughout, Audio Visual Equipment and Deck Facilities include Master : TV LCD Sharp 20”,DVD/CD/HiFi Sony, 1 Satellite Decoder Aston, Phone Siemens, VIP : 1TV LCD Sharp 15”, DVD/CD/HiFi, Sony, Satellite Decoder Aston, Phone Siemens, Twin : 1TV LCD Sharp 15”, DVD/CD/HiFi Sony, Satellite Decoder Aston, Phone Siemens.